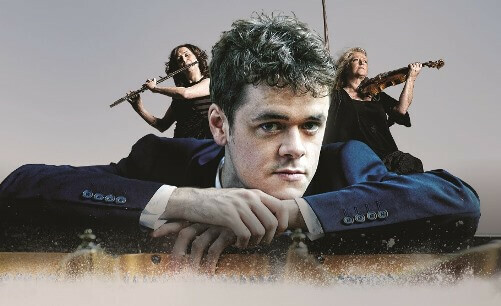 In a long list of outstanding young composers and musicians to have worked with Britten Sinfonia, few come with a higher pedigree than pianist Benjamin Grosvenor. Still only 23 years old, he makes his Britten Sinfonia debut, directing from the keyboard Mozart’s last Piano Concerto No. 27 in a concert that also celebrates Britten Sinfonia’s charismatic leader Jacqueline Shave’s first decade with the orchestra.